New York: Oil rose for a second day as US housing starts increased to the highest level in more than a year and on speculation that further sanctions against Iran will curb supply. “The housing starts number is telling us that the US economy is again making modest improvements," said Jason Schenker, president, Prestige Economics Llc, an Austin, Texas-based energy consultant. “Iran can cause short-term dislocation in the market," he added. Crude for January delivery gained $2.90, or 3.1%, to $96.78 a barrel at 10.35am on the New York Mercantile Exchange. The contract expired on Tuesday. Prices are 5.9% higher this year after rising 15% in 2010. The more actively traded February contract gained $2.92 to $96.97. 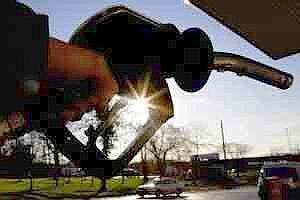 Brent oil for February settlement on the London-based ICE Futures Europe exchange rose $3.04, or 2.9%, to $106.68. November housing starts were the most since April 2010. The median estimate of 79 economists surveyed by Bloomberg called for a gain to 635,000. Building permits, a proxy for future construction, climbed to a 681,000 annual pace in November, the highest level since March 2010. “In the US, the economy is on the road to recovery, with falling unemployment and consistently improving growth against a background of low and falling oil stockpiles," said Christopher Bellew, a senior broker at Jefferies Bache Ltd in London. US crude inventories fell by 2.25 million barrels last week, according to the median estimate of 11 analysts surveyed Bloomberg. The energy department will report on stockpiles at 10.30am on Wednesday in Washington. The GCC leaders’ two-day summit may focus on measures needed against Iran and on the impact of unrest in Syria. The gathering of the group, led by Saudi Arabia and allied with the US, comes amid rising tensions between Iran and the US, which is increasing pressure over the Iranian nuclear programme. The GCC was established in 1981 as an economic and political grouping of Saudi Arabia, the United Arab Emirates, Kuwait, Qatar, Oman and Bahrain. The European Union added 180 Iranian officials and companies to a blacklist this month to intensify pressure on Iran over its nuclear programme, after the US imposed stiffer penalties in November. Iran is the second largest member of the Organization of Petroleum Exporting Countries, trailing Saudi Arabia. The country pumped about 5% of the world’s oil last year, based on BP’s annual Statistical Review of World Energy. Oil also advanced as the euro strengthened against the dollar after Spain’s borrowing costs dropped at a sale of three- and six-month bills.